The Supreme Court’s ruling upholding the Affordable Care Act marks a critical victory for women’s health, and the health of all Americans: Millions of women and families will have improved access to affordable, quality health care; many previously had inadequate coverage or no coverage at all. 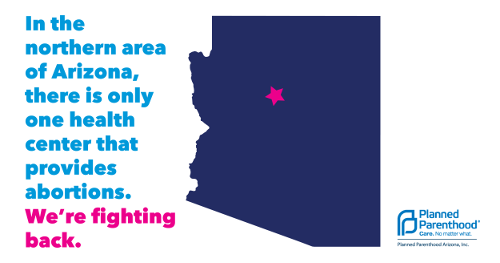 At Planned Parenthood Arizona, we expect how this law will have an unprecedented effect on women’s health. 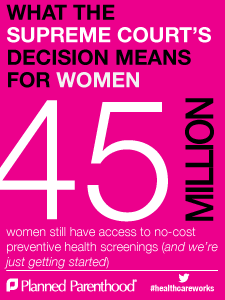 The law guarantees women direct access to ob/gyn providers without referrals, and ends discriminatory practices against women, such as charging women higher premiums and denying coverage for “pre-existing conditions.” And in just six weeks, insured women will gain access to birth control without a co-pay — which will be a tremendous benefit for already stretched family budgets. Every dollar invested in federal family planning saves taxpayers nearly $4.